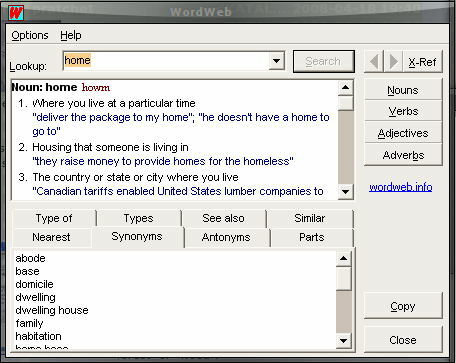 bold textWordWeb is a powerful English dictionary with tesaurus. There is a free version as well as a comercial one. It's a Windows application that works great in WINE.